I’m an unapologetic metal head. Everything in my life is judged on its metalness. This song is so metal. This shirt is so metal. This sandwich is soooo metal. 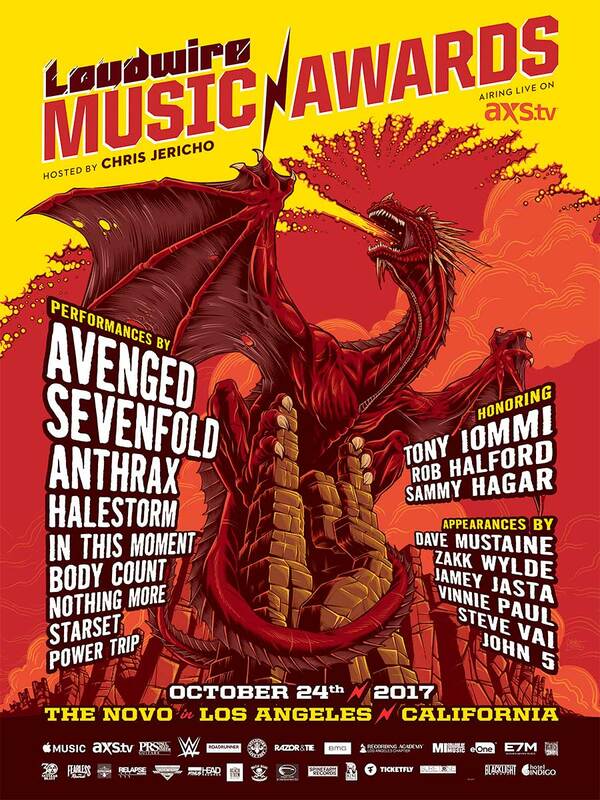 Anyway, I had the awesome honor of designing the event poster for the 2017 Loudwire Music Awards. 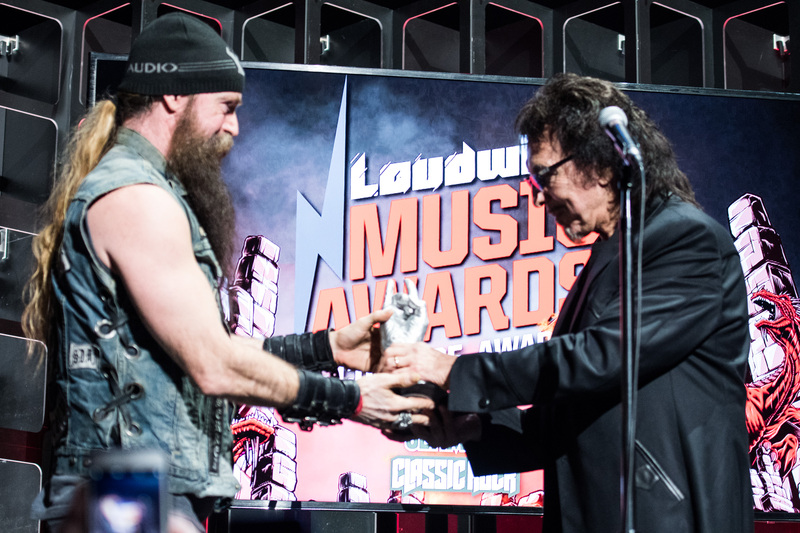 This year Loudwire revealed the Hand of Doom trophy which was actually cast from the hand of the one and only Toy Iommi. This being said, we wanted to include the devil horns in some sort of an epic scene. We played with occult scenes and outer space craziness but we jammed a bunch of ideas together (this happens a lot with illustration gigs). 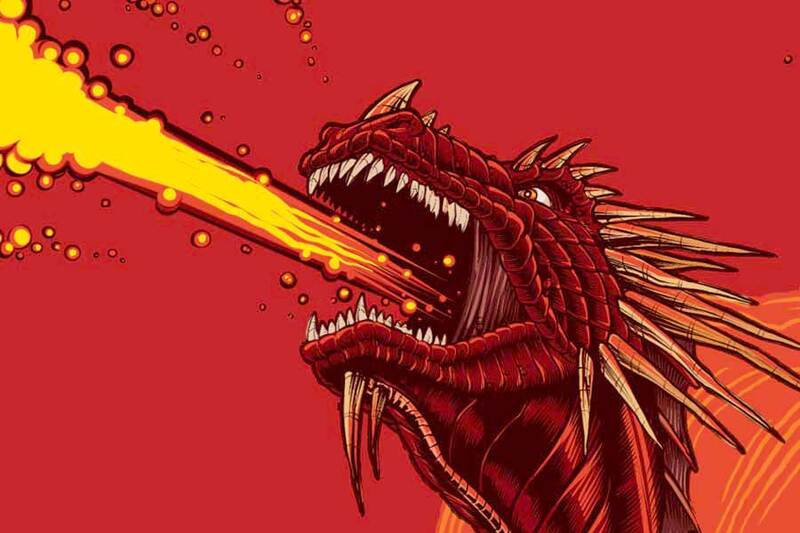 And this crazy dragon on Mount Doom concept was born. They got a lot of mileage from the art too. If you look below you might be able to see some of my art if Zakk Wylde and Tony Iommi would get the hell out of the way.